This book describes an inquiry into the upbringing of young cerebral palsied children. 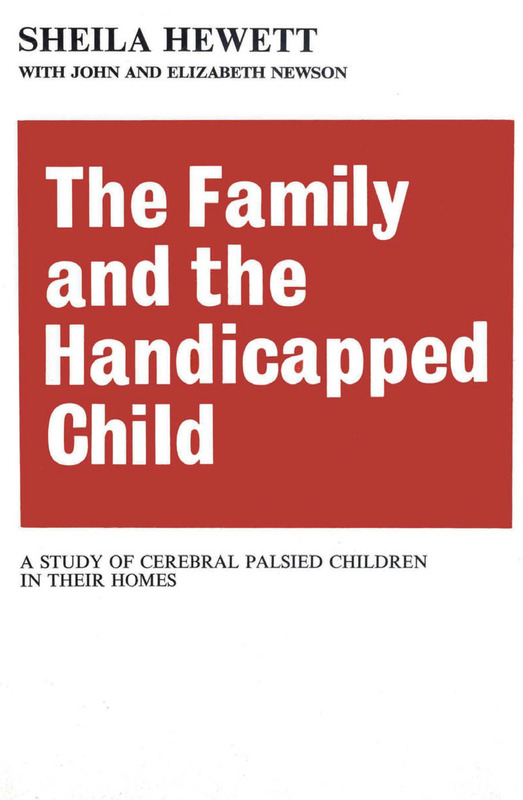 Following the precedent set by John and Elizabeth Newson in their studies of normal children at home; Sheila Hewett visited the mothers of 180 spastic children and obtained their personal accounts of their experiences.There is considerable literature on handicapped children in which the adverse effects of their presence in the family are emphasized. This study is the first to present, not evidence provided by professional people, but that of a large number of mothers of all social classes who have children with all degrees of handicap. They tell in their own words how they meet the problems and anxieties of everyday life and how they strive to maintain the norms of family living in spite of their very real difficulties. A measure of their success is provided by a number of comparisons with the families of normal children.Hewett's nursing experience combined with a social science training and personal experience of parenthood contributed a useful background for this research. Resulting as it does from close collaboration with the Newsons, her work provides an important extension of the main work of the Child Development Research Unit in Nottingham. It will help all those who work with handicapped children to achieve a better understanding of the families to whom they offer their specialist knowledge. To the general public it offers an opportunity to gain insights into a situation, which calls for their support and acceptance but not their pity. For the parents of handicapped children themselves it provides a much-needed opportunity to make their views known and to see that they are not alone in the difficulties, which they face with such stoicism and resourcefulness.This book's last aim has been achieved by using the now extensive information about the upbringing of normal children obtained from Nottingham mothers in the United Kingdom, by John and Elizabeth Newson.